Those looking for home security monitoring in Marietta need look no further than one of the premier Marietta home security monitoring companies: Security Services of Georgia. A family owned and operated home security monitoring company in Marietta GA for nearly 20 years, Security Services of Georgia takes great pride in providing the highest quality professional design and installation coupled with outstanding customer service. To learn more, check out all of the home security services we offer. Marietta is a charming town with a quaint, turn-of-the century town square that invites tourists and residents alike to stop and relax at one of the many excellent shops and restaurants. Civil War history comes alive with a host of historic homes and sites that lend it an air of yesteryear. With its small-town neighborhood feel, yet the energy of an urban environment, Marietta has much to offer. One of Marietta’s downsides, however, is a crime rate which is significantly higher than the majority of communities in Georgia. That is why obtaining trusted, professional home security monitoring in Marietta is of primary importance to Marietta homeowners. Security Services of Georgia takes home security monitoring in Marietta very seriously. Our focus is on providing homeowners with the peace of mind that comes with knowing they have the very best home security monitoring company in Marietta GA ensuring our safety and security with one of the best monitoring stations in the nation. Our Marietta home security monitoring station provides one of the fastest emergency response times to prevent or reduce injury or loss of property. As the hometown home security monitoring company in Marietta GA, Security Services of Georgia works hard to earn our customers’ trust and confidence by providing outstanding customer service combined with the highest quality state-of-the-art systems available to protect your loved ones and your investments. A great customer experience includes a personal consultation where customers’ concerns and needs are determined, various options are explained, and then the best, most cost-effective approach is undertaken. All Security Services of Georgia’s highly trained and professional technicians have a great deal of knowledge and experience and aim to exceed our customers’ expectations. Security Services of Georgia is licensed, bonded,and insured, providing customers with the assurance they will be completely satisfied with the finished project. 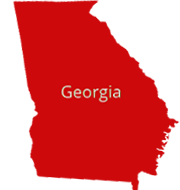 To contact Security Services of Georgia, call (678) 444-4999, send us an email, or fill out our Contact Form today.